I have never published a blog about mushrooms, but I am asked about them constantly. Since the Hare Krishna diet appears to be almost identical with many classic Buddhist vegetarian diets where mushrooms are used profusely, people usually presume that mushrooms would be acceptable. And why are there no mushroom recipes in my books? The reason is that in the ancient culinary bhakti-yoga tradition to which I subscribe, mushrooms are not cooked. No Vishnu, Krishna or Rama (Vaishnavaite) temple kitchen will ever prepare them. They are considered unfit foods to prepare in sacred food offerings due to their fungal nature. Q: I was wondering about some of your recipes. Some of them have yeast in it. I was wondering if this is acceptable to be offered to Krishna. I thought yeast is a living organism, just like mushroom is. Please forgive my ignorance and help me understand this. A: Thanks for your letter. Yeast is not a traditional ingredient in Vaishnava cookery, yet we do prepare and offer to Krishna fermented things like khamir poori, dosa, idli, jalebis etc. These are all fermented naturally, with the help of airborne yeasts. 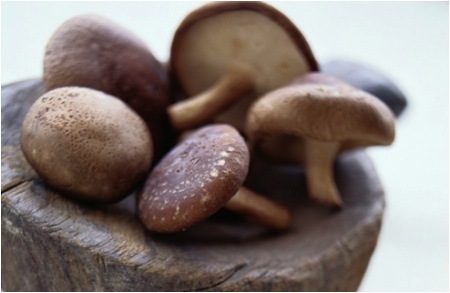 Yes, yeast could be compared with mushrooms. However, it was not specifically banned by our founder Srila Prabhupada (like meat, fish, eggs, garlic, onion, alcohol are). When he first arrived from India, Prabhupada tasted western yeast-risen breads, but he said he found them dry and tasteless, and much preferred his hot, freshly cooked unleavened chapatis. Prabhupada did not eat mushrooms, and recommended we (his students) don't. Most Hare Krishna devotees never touch them, though some do. I have seen devotees in Russia pick them from the forest and cook them. So why this apparent grey area? Malati devi: "And, what about mushrooms? We don't offer them to the (temple) Deities. However, in France, at the Nouvelle Mayapur Chateau (perhaps Kanti will recall this), they found very exotic expensive type of mushroom known as truffles on the property, and the devotees wondered about it." Kanti devi: "Yes, I do recall that, because I started making cream of mushroom soup for the devotees. We had mushroom pizza, mushroom rice, mushroom pakoras, so many mushrooms. There was one French devotee who would bring in crates full that he collected in the forest. Naturally the devotees (Bhagavan dasa specifically) asked Srila Prabhupada before we did anything with them. 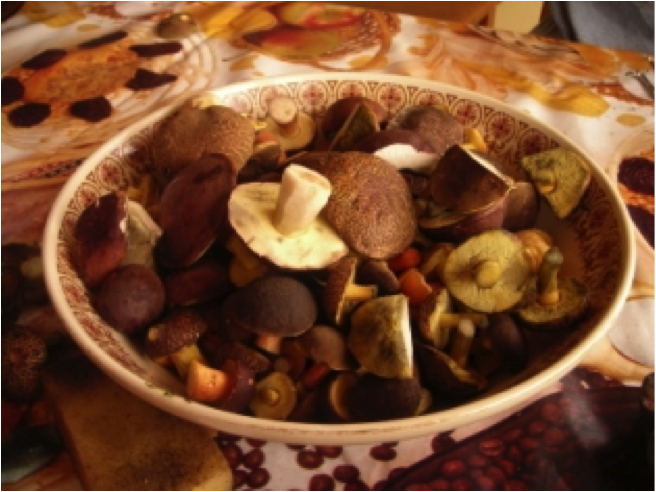 The mushrooms were 'cèpes', (not truffles) a large mushroom that grows in the forest, and we had thousands of them. Srila Prabhupada said that 'Lord Chaitanya ate mushrooms when he was travelling in the Jarikhanda Forest, and we could as well'. We did not have Radha Krishna Deities at that time, we had a Pancha Tattva altar and Srila Prabhupada said they were offerable to (on the altar to the sacred deity forms of) Pancha Tatva, so we did cook and offer them." This (the instance above) was a specific circumstance. Prabhupada wanted that the cooks in France did not waste them. But generally, Hare Krishna temple cooks don't use mushrooms; but as you can see in this case, they were not specifically banned like, say, onions and all other members of the allium family. If Kanti devi had been delivered crates of onions picked from the fields, for instance, she would not have prepared them in the temple kitchen. So there is a distinction. Yamuna Devi, in her entire cookbook collection, has provided one or two recipes that contain mushrooms. I have only one unpublished recipe containing mushrooms. Otherwise I hardly touch them. They are, after all, a fungus, and do not help to elevate the consciousness like 'sattvic' foods do. Hence they are generally included in the category of 'tamasic' foods (foods touched by the lower modes of ignorance). Q: Isn't it sad that with all the starvation in the world people are debating whether or not by eating (nutritious) mushrooms it may or may not place humans into a lower mode of ignorance? A: I think these are two separate issues, in my opinion. This mushroom talk is our in-house discussion, but I just decided to share it with whomever was passing by in cyber space. If we choose to not eat mushrooms, then there will be more nutritious mushrooms to go around for all those starving people. And by the way, The Hare Krishnas are the world's most prolific and generous distributors of healthy cheap/free vegetarian food.